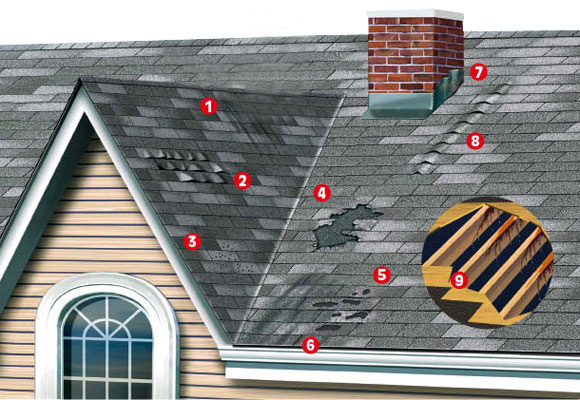 Dark, “dirty-looking” areas on a roof – Possible causes: environmental pollutants; vegetation, fungus or algae; loss of granules due to shingle age. Missing, cracked or curling shingles – Possible cause: shingles being at the end of their useful life. Leakage in the attic after driving rain – Possible cause: leaky or inadequate shingle underlayment or deteriorated flashing. Roof shingle, sheathing and siding decay – Possible cause: poor attic ventilation. Blistering/peeling of outside paint – Possible cause: excessive temperature or high humidity due to poor attic ventilation. Stains on interior ceilings/walls or mold and mildew growth – Possible cause: inadequate or faulty shingle underlayment allowing leakage or inadequate ventilation. Excessive energy costs – Possible cause: insufficient attic ventilation allowing heating/cooling system to run excessively. Result in higher replacement costs and additional home repair. 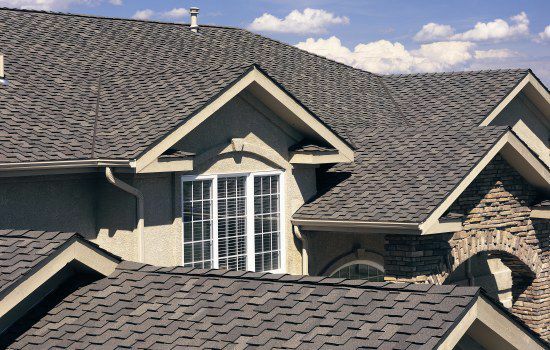 A well-installed, well-maintained roof is one of the most important things you can do for your home. Make sure you use a professional roofing contractor, properly licensed and insured for roofing, to fix your problems and do the job right. Don’t hire just anyone to perform repairs or replace your roof.